A custom duplex gear that is made as a single piece, instead of an assembly of multiple parts. The distance between the gears can be tailored to provide maximum space savings in tight places. This version has an integral shaft, but could be produced with a bore instead. 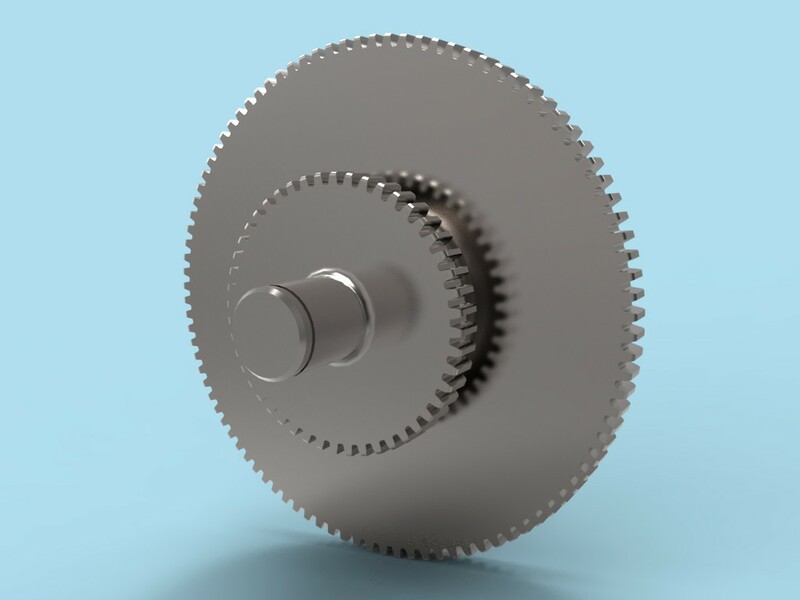 A version of this gear can be seen in the “Gear and Crank Assembly – Open” project.